Two Different New Moon Endings? Check out this article here. Which ending did you see?? Bitten by Ginger @ GReads! at 7:07 PM 9 enjoyed the bouquet. Bitten by Ginger @ GReads! at 1:39 PM 3 enjoyed the bouquet. Not sure how many of you read The Daily Nail; I know Corinne is obsessed with it since her and the Daily Nail Girl are destined to be besties, but she painted her nails a Twilight theme for New Moon!! Love!! Bitten by Kari at 12:47 PM 5 enjoyed the bouquet. BELLA: DAAAAAAAAAD! I was dreaming about being my own grandmother, DO YOU MIND. CHARLIE: Look, I got you a camera so you can take pictures of your friends! You know, those kids you should stop ignoring, in case your creepy boyfriend suddenly leaves you. And hey, your mom got you a scrapbook to go with it... what? What? Why is that so funny? JACOB: Happy birthday, paleface! I stopped by Redskins 'R' Us and got you a dreamcatcher. I hear you'll be needing one a few scenes from now. click here to read the rest. HAHA! Bitten by Ginger @ GReads! at 11:14 AM 3 enjoyed the bouquet. Hope everyone had a great Thanksgiving weekend! Bitten by Erin at 6:17 PM 4 enjoyed the bouquet. I saw this picture online while browsing through and had to post it. Notice the image on the right is the scene when Edward and Bella were frolicking through the forest in Alice's vision? haha It's so cheesy and it makes me laugh! and why was Edward wearing a suit in most of the scenes?! I did not like his wardrobe for New Moon. I have no idea who made this, or else I'd give them credit. Bitten by Ginger @ GReads! at 3:04 PM 6 enjoyed the bouquet. If you've suspected that there's something unhealthy about the relationship between Bella and Edward in the phenomenally successful Twilight series, then it turns out that you're exactly right. In fact, there are fifteen examples of unhealthiness. According to the National Domestic Violence hotline, these are some signs that you may be in an emotionally or physically abusive relationship. * Look at you or act in ways that scare you? * Control what you do, who you see or talk to or where you go? "Stay away from the werewolves. I love you." * Make all of the decisions? * Act like the abuse is no big deal, it's your fault, or even deny doing it? "If I wasn't so attracted to you, I wouldn't have to break up with you." * Threaten to commit suicide? "I just can't live without you. In fact, I'll run to Italy and try suicide by vampire if anything happens to you." * Threaten to kill you? To see the complete list, click here. Bitten by Ginger @ GReads! at 4:57 PM 13 enjoyed the bouquet. It's thanksgiving day here in the states and although I know we have some followers from other countries--I just wanted to say "Thanks" for making the SVC such a great place to be! Bitten by Corinne at 11:36 AM 7 enjoyed the bouquet. He even looks hot eating his lunch!! See more of the Hottness of Rob here. Bitten by Ginger @ GReads! at 3:11 PM 7 enjoyed the bouquet. Ever imagine what Taylor Swift's "You Belong With Me" would sound like if sung by Jacob about Bella? Bitten by Ginger @ GReads! at 2:02 PM 8 enjoyed the bouquet. Bitten by Ginger @ GReads! at 6:55 PM 4 enjoyed the bouquet. Bitten by Jes at 12:44 PM 6 enjoyed the bouquet. Want to decorate like the Vampires do? Etsy.com has put together a page full of ideas on how to decorate your house in the same way the set directors did for the Twilight movies. Check it out here. I wonder if Edward or any of the other Cullens are included in this decor? haha. Bitten by Ginger @ GReads! at 7:51 AM 1 enjoyed the bouquet. RPattz, KStew, and Taylor on Jimmy Kimmel Live: Funny stuff! Bitten by Ginger @ GReads! at 7:37 AM 2 enjoyed the bouquet. I was catching up on my dvr'ed shows from last week and finally saw Robert Pattinson on the Ellen show. So cute! Bitten by Ginger @ GReads! at 5:46 PM 5 enjoyed the bouquet. Due to her dedication to the SVC shown by her recent visit to Minnesota, our frequent poster and blog follower, Ginger, has been granted posting privileges to our site. 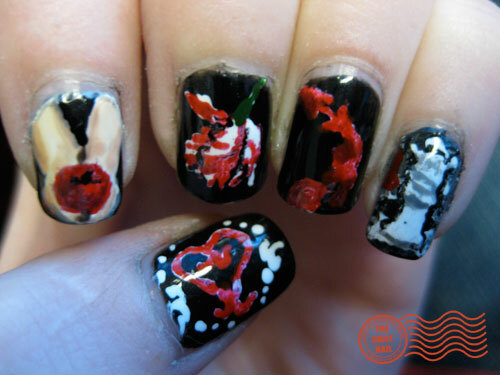 We know her dedication to the internet and all things Twilight/Vampire related will add many posts and excitement to our blog. Welcome, Ginger! Bitten by Corinne at 7:36 PM 6 enjoyed the bouquet. Bitten by Jes at 4:11 PM 4 enjoyed the bouquet. New Moon a Rotten Tomato? Despite our love of the movie, New Moon is getting bad reviews. What are your thoughts on this? Why are reviewers showing no love? Do you agree or disagree with them? Bitten by Kari at 9:18 AM 5 enjoyed the bouquet. Ginger has been spotted in MN!!!! So our dear SVC friend Ginger has landed in MN!! Yes, that's right she flew all the way up to chilly MN from TX to see New Moon with us Coven leaders and explore the awesomeness that is Minneapolis! Bitten by Jes at 3:04 PM 7 enjoyed the bouquet. Bitten by Kari at 7:40 AM 13 enjoyed the bouquet. 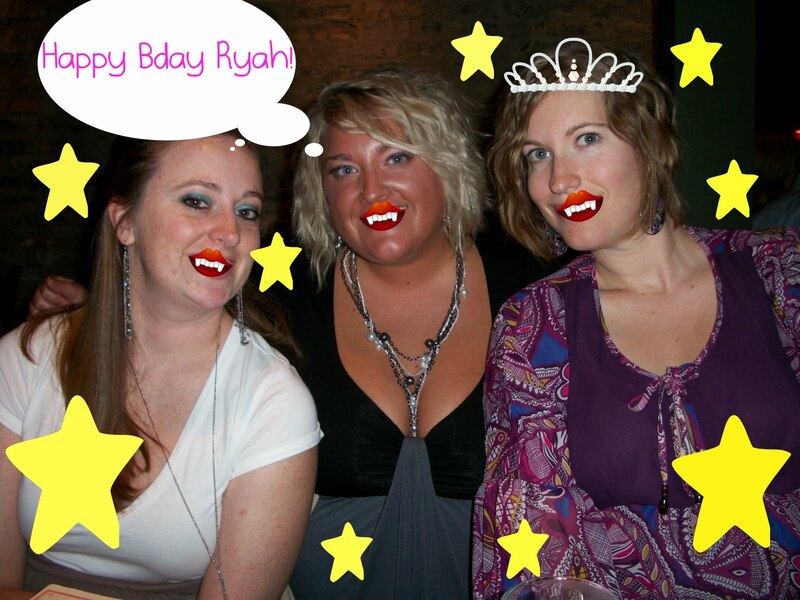 Happy New Moon Bday Ryah!!! Ryah's Bday was Monday, and what do you know it was also a New Moon that night! I think that means this is going to be her best year of her life as of yet! Bitten by Jes at 9:47 PM 9 enjoyed the bouquet. The bathtub was an oval, claw-footed affair hidden behind a Japanese screen in a corner of the room. Sophie had filled it with hot water that was already beginning to cool; sliding behind the screen, Tessa undressed and lowered herself into the bath. The hot water came up to her shoulders, warming her chilled bones: for a moment she sat with her eyes closed, letting the heat relax her. It was then that she remembered the rest of what had happened last night — the attic, and Will. Read the rest at Mundie Moms! Bitten by Kari at 5:17 PM 6 enjoyed the bouquet. OK, so forget having Oprah tell Stephenie to finish Midnight Sun. Seems like her mom is taking up the cause for us (very end of clip). Yay, Mrs. Morgan! Bitten by Erin at 6:23 PM 5 enjoyed the bouquet. Bitten by alison at 3:50 PM 7 enjoyed the bouquet. K. Stew and Rob A Couple? Here is the apparent evidence. Bitten by Kari at 7:10 AM 10 enjoyed the bouquet. Just a heads up... get your DVR ready for next week!! Thanks Ginger for making this list! It's awesome. Bitten by Kari at 12:04 PM 2 enjoyed the bouquet. Stephenie Meyer updated her website to let fans know she'll be on Oprah this Friday to promote the upcoming film release of New Moon. You know...Oprah has quite a bit of power. Maybe SHE could force Steph to finish writing Midnight Sun??! Bitten by Erin at 1:38 PM 6 enjoyed the bouquet. Bitten by Corinne at 10:39 AM 8 enjoyed the bouquet. So Jes is on vacation, but VD is not. I figure since I'm watching and I have fingers to type, I'd keep the discussion going. So we are a bit behind, but some very interesting things have come up on the show in the past two weeks. Vicki became and vamp and then died (for good) as one. Elena knows all about vampires and isn't sure how much she likes that fact. Plus we have gotten more glimpses into what the townies know as well as Bonnie's witches powers are starting to emerge. So the questions that have been swirling around in my head are regarding where they are going connecting these peripheral, but important character groups in with the vampire's story line. What do you think Damon is doing getting in with the town protectors? What do you think his "master plan" is? Is is more to just cover his tracks and keep an eye on what the others know or is it more sinister than self preservation? Also, what role do you think the witches will play in this story line? It's obvious through Bonnie's (or is it Damon's) crystal that there is some connection between vampires and witches, but what are your theories on what kind of ties vampires and witches will have? Bitten by Corinne at 1:20 PM 8 enjoyed the bouquet. so I will admit I don't know much about this movie--not really interested I guess. But I have seen the preview on TV and every time I am bothered when Bella tells Jake "you've killed people." Mostly because I don't think it is accurate at all, but also, if you think about it, Eddie has killed tons of people and she doesn't care about that. Bitten by alison at 11:36 AM 9 enjoyed the bouquet. The hot phoenix sun glared down on the car windowsill where my bare, pallid arm dangled shamelessly. My mom and I were both going to the airport, but only I had a ticket waiting for me, and that ticket was one-way. I had a dejected, brooding expression on my face, and I could tell from the reflection in the window that it was also an intriguing expression. It seemed out of place, coming from a girl in a sleeveless, lacy top and bell-bottom jeans (stars on the back pockets). But I was that kind of girl — out of place. Then I shifted from that place on the dashboard to a normal position in the seat. Much better. I was exiling myself from my mom's home in Phoenix to my dad's home in Switchblade. As a self-exiled exile, I would know the pain of Diaspora and the pleasure of imposing it, callously disregarding my own pleas to say one last good-bye to the potted fungus I was cultivating. I had to coarsen my skin if I was going to be a refugee in Switchblade, a town in northwest Oregon that no one knows about. Don't try to look it up on a map — it's not important enough for mapmakers to care about. And don't even think about looking me up on that map — apparently, I'm not important enough either. Bitten by Ryah at 5:39 PM 4 enjoyed the bouquet. Thank you, thank you, thank you to Ginger for passing along this link. Bitten by Erin at 6:09 PM 3 enjoyed the bouquet. Cassandra Clare posted about this on her Facebook page - but said as far as she knows, there's only going to be one movie (in the plans so far). Bitten by Erin at 1:17 PM 10 enjoyed the bouquet. Why are we not friends with this couple? Bitten by Kari at 7:14 AM 4 enjoyed the bouquet.